I believe that protecting clients’ privacy is fundamental to ensuring the ethical and effective delivery of counselling in schools. In this article I explore the significance of privacy by describing what I do to protect the privacy of my clients and the rationale behind my approach. I cover the windows to the counselling room, although I often have to leave a small gap so staff are able to look in “if it might be necessary”. I put a “PLEASE DO NOT DISTURB” sign on the door. I choose discrete locations for counselling rooms. I do not want to let other children know who my clients are because I do not want to make them seem different to the others. If I did not take these precautions I believe that many of the children, even of nursery age, would notice that certain children are having additional input and before long all the children would realise it. Generally children don’t want to appear different because they want to fit in with their peers. To avoid making it obvious to their peers that they are having counselling I avoid collecting clients from class. I ask their Learning Support Assistant (LSA) to bring them if they are Key Stage 1(KS1). Others can usually come alone. If for any reason they cannot come alone, they can be brought by their LSA. If a client forgets to come I ask either the SENCO or Deputy Head to collect the child from class (in primary schools). In secondary schools if a client forgets to come I write them a letter explaining that they have missed a session, reminding them of their appointment time. In the past when I have collected clients from class I noticed that it can attract a lot of attention from the other pupils. allowing clients to put pictures on the walls of counselling rooms with their names on. This objective of ‘not letting others know who do not “need to know”’ also applies to parents of clients (who are also clients). For example, I do not collect carers and parents of clients from the school foyer when we have meetings, but instead arrange for them to come straight to the room where we are meeting, so it is less likely that other parents and staff will see they are meeting with me. I work in the same way when I have meetings with staff. I do not let people who do not need to know, know the identity of my clients because there is inevitably a stigma attached to being in therapy, which springs directly from the stigma around having social, emotional or mental health difficulties. We project our own vulnerability and fear that we might be mentally unwell into those who have been given this label, and then reject them, and in so doing feel we are now fine in comparison; not like them, the “mentally ill” ones. This process of projection can cause people to treat “therapy clients” differently at best and, at worst, avoid and bully them. Many young clients have said to me that they don’t want their peers to know they are going to see a counsellor because it would embarrass them, or they are worried they might get teased or bullied about it. This can deter them from accessing counselling or make them want to stop if they are having counselling. I also protect my clients’ privacy in relation to the school staff. In my experience, many clients would not be comfortable with staff knowing that they are having counselling. Only those who need to know should know, namely: Learning Support and Behaviour Support Staff who work with the student; the teachers of the client; The Senior Leadership Team (which includes Special Educational Needs Coordinators and Head of Inclusion) and Year Heads in secondary schools. I have found that staff readily refrain from talking with me about clients in front of other staff (ie in the staff room or corridor) and understand the idea of respecting client privacy once I explain to them the importance of this approach. 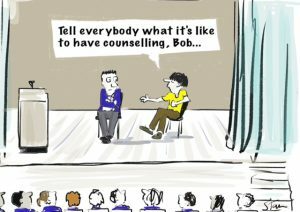 In secondary schools I protect clients’ privacy by not automatically letting carers and parents know when a student is referred for counselling; instead I ask the client how they would like this managed. By contrast, in primary schools I have always been required to get signed parental permission before beginning the work. This difference in approach seems to apply in many schools. Although some clients, regardless of age, do not want their parents to know they are having counselling, privacy for clients in relation to their parents seems to be determined by whether they are in primary or secondary school. This may be because of a mistaken understanding of Gillick Competency where the rule has been oversimplified to match school ages for ease of application; after all, some primary-aged children have the capacity to make reasonable decisions for themselves and some secondary-aged students do not. The reason I avoid these activities is because in counselling work, I provide safe containment for very sensitive personal feelings in the privacy of the counselling room. I join my clients in their private, inner, emotional world and so I feel that I should not at the same time be part of their outer, social world. It is for this reason that the counsellor assigned to a child should not be a friend or teacher of the client, or a friend of the client’s parents. My view is that if I enter a client’s social world, this creates two different relationships and the boundaries of therapy become blurred. It is hard to uphold these boundaries in schools. Sometimes staff or students open the door of the counselling room, ignoring the “Please do not disturb” sign. I have experienced members of staff not wanting the windows of the counselling room to be covered. In a school where I worked it took over a year to reinstall the latch on the counselling room door that had been removed so that it could not close. If staff are able to tolerate their frustration about not knowing who the counselling clients are they will model appropriate behaviour for pupils who will learn to not be intrusive with peers who are having counselling. When a student is having counselling some of their peers and staff will no doubt find out, one way or another, even by simply seeing the child walking to the counselling room. But this does not imply that all their peers and staff might as well be told. So I do my best to be as subtle about it as I possibly can. The BACP Ethical Framework for the Counselling Professions 2016 (EF) supports my approach to client privacy. The EF states that counsellors have a “commitment to clients” to “Show respect by …protecting client…privacy” (p1). The EF sets out guidelines on “Good Practice” (p5) which includes “Respect” and states, “We will respect our clients’ privacy”. Thus, according to the BACP, if we let others know unnecessarily that a client is in therapy we are not respecting their privacy and this is not good practice. In schools, as already stated above, it is almost impossible to keep the fact that a child is having counselling completely private. The EF states, “We will protect the confidentiality and privacy of clients by…informing clients about any reasonably foreseeable limitations of privacy or confidentiality in advance of our work together” (p7). So we have a duty to explain to clients that others will find out they are having counselling, what the implications of this could be, and help them to make a decision for themselves about whether or not they are comfortable with this. Of course some clients may be happy for others to be told. The EF states, “We will work with our clients on the basis of their informed consent and agreement” (p7). “Informed consent” is key here, and relates again to the idea of Gillick competence; the ability to make an informed choice. If a child does not have the knowledge and maturity to make an informed decision, we have a duty to protect them from the side effects they may inadvertently be exposing themselves to by agreeing to openness. The idea of what is or is not private develops only gradually in children’s mind. They need to be given the opportunity to develop their attitude to privacy. If we don’t help them to make this decision themselves, but instead tactlessly reveal they are having counselling to others, we are doing them a disservice. This could even be seen as abuse. If I suggest to a client that it’s ok for all and sundry to know, they may agree and later regret it. The EF states: “Careful consideration will be given to working with children and young people that…takes account of their capacity to give informed consent…and their best interests” (p8). Clients have a right to choose for themselves whether they want the fact they are having counselling to be revealed freely to their peers and staff by those who know. Some young clients will need support to make such a decision. The guidelines for “Good Practice” in the EF state, in the section, “Building an Appropriate Relationship” (p8), “We [counsellors and therapists] will establish and maintain appropriate professional and personal boundaries in our relationships with clients by ensuring that…any dual or multiple relationships will be avoided where the risks of harm to the client outweigh any benefits to the client” (p8). This supports my previous suggestion that we should avoid taking on additional roles outside the counselling room. Similarly, the Department for Education (DfE) report “Counselling in schools: a blueprint for the future” states: “Counselling needs to take place in a safe, private and welcoming environment…If possible the counselling room should be in an area where it isn’t obvious the pupil is going there to attend counselling” (2016:p30). I have encountered members of staff who believe that it does not matter if the counsellor is seen in public with a client because students don’t know who the counsellor is. I think that is unlikely; after all, young people are curious and they will see the counsellor walking about and into and out of the counselling room and news spreads fast in schools. Some staff deny the existence of stigma saying, “All the children want to go to therapy because it has such a positive image in our school.” I think this is wishful thinking. There is a vast body of research evidence that counselling is stigmatised in UK schools, and that children fear being stigmatised for attending counselling. “Much research reinforces the ubiquity of concerns about negative stigmatisation by peers as a barrier to young people accessing services” (Prior, 2011:p1). Students, generally don’t want it to be known that they are attending counselling because of student attitudes towards mental health and well-being services (p1). Interestingly I have seen situations where senior staff members are extremely attentive to the privacy of staff members who are attending counselling whilst at the same time adopting a very open policy towards children attending counselling. They are quite aware that staff seeing a counsellor would not want other staff to know. Perhaps this is because they believe that adults stigmatise but children don’t. Children, in their view, might not be affected by stigma if counselling is dealt with very openly. I don’t agree. If a therapist stays with a student in the playground or dining hall (acting rather like a human dunce cap), this will advertise to the entire population of the school the fact that he/she is a client. Once when I was visiting a school for an interview, a counsellor introduced me to her client as they went into the therapy room (which was just off a dining hall full of students). The client looked extremely uncomfortable. I do not think being open about counselling is a good way to try to reduce the stigma around therapy. Better keep a private interaction private. In summary, I believe that protecting privacy is an essential component of ethical and effective counselling practice. If we do our best to protect the privacy of our young clients this will help them feel comfortable about accessing counselling support in schools and staying with it. I hope that the ideas I have set out in this article will encourage practitioners to think carefully about their approach to protecting the privacy of young clients in schools. 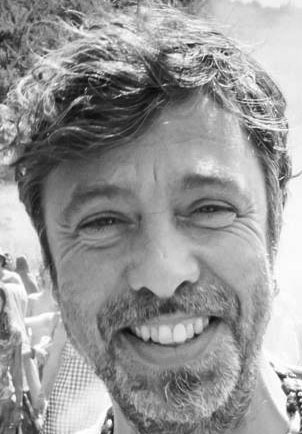 Ben Gross is a school counsellor, working in an infant, a primary and a secondary school and in private practice. He is also an author of children’s stories. BACP, (2016) Ethical Framework for the Counselling Professions. Leicestershire: British Association for Counselling and Psychotherapy. Cooper, M. (2009) Counselling in UK secondary schools: a comprehensive review of audit and evaluation data, Counselling and Psychotherapy Research 9, 3, 137–50. Freake, H., Barley, V. and Kent, G. (2007) Adolescents’ views of helping professionals: a review of the literature, Journal of Adolescence, 30, 639–53.